Hey Funny Pics, how do we look? Repost, you fools! @TheButterCutter, from the Lord of the bling? 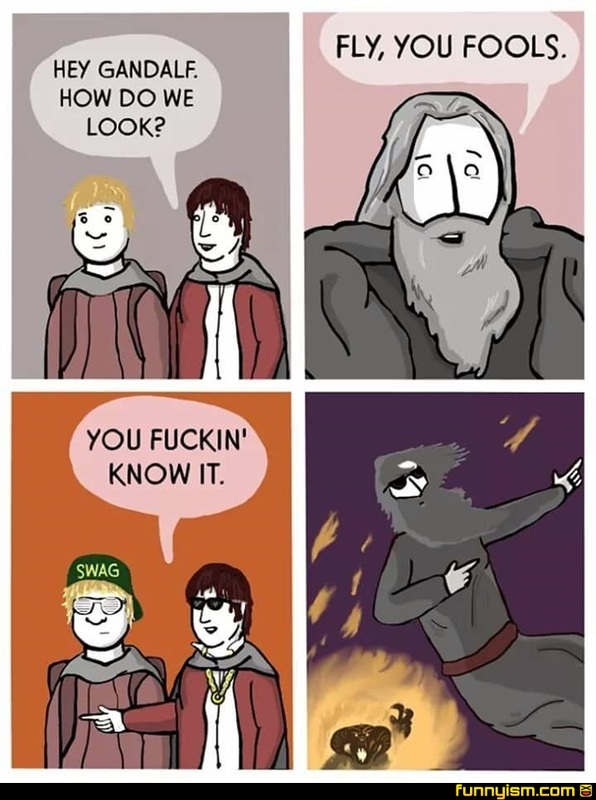 @non dik bong, YOU MEAN AND THE FELLOWSHIP OF THE BLING ... Why are we shouting? Did he mean, go fly the Eagles like they should have done all along?! @Smittyfromda805, it is a theory that that is what he was implying. Gandalf wouldn't have wanted the enemy to hear what the plan was since Sauron has ears everywhere, but the Fellowship didn't get what he wanted them to. It's funny because of the F word.